City of Fremantle has chosen Database Consultants Australia (DCA) as the preferred supplier to deliver their smart city parking strategy. The city is looking to improve community parking satisfaction and has chosen DCA’s Integrated Parking Management System (IPMS) to provide a higher quality community experience. The awarding of the city’s IPMS to DCA follows a surge in demand for its innovative smart phone parking app PayStay, which is the fastest growing consumer parking solution in Australia. DCA Director of Smart City Technologies Sandy Del Papa said the smart phone is key to citizens unlocking the benefits of smart cities. “Through the introduction of state-of-the-art technology we’ll look to make the best of the City of Fremantle’s parking network and deliver greater efficiency and optimisation of available parking. We’ll support the city with optimal access and insight to mobility data to increase the city’s ability to make data-driven decisions and ultimately deliver a truly connected parking experience to the citizens of Fremantle” Del Papa said. The imminent delivery of the IPMS aligns directly with the city’s goals of developing a responsible social, economic and environmentally efficient city and delivering the subsequent benefits to the community. DCA will deliver an integrated suite of technologies including pay by smart phone solution, PayStay. This proven technology will enable motorists to search via their smart phone for parking, navigate to parking and pay only for the time they require, together with optional notification of when their parking will expire, all within a single highly functional app. In partnership with DCA the city will also address the emerging demand for digital permit solutions, with the introduction of ePermits. ePermits offer both convenience and flexibility to citizens with online applications, payment and issuing, together with flexible digital visitor permits. 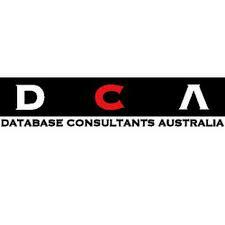 DCA are proudly Australian owned and do business in four countries. Their 180+ passionate employees and local development team are dedicated to turning client’s ideas into commercial reality.